I just finished this painting today. 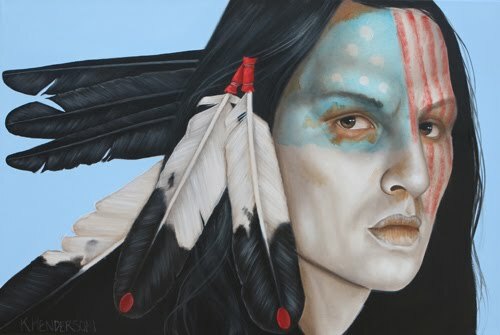 Dream Spirit is oil on canvas, 30" x 40". 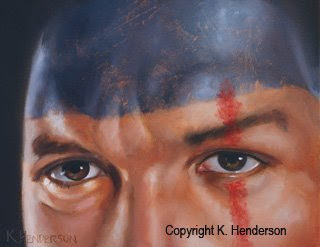 This painting gives you an idea of how I start all my warrior paintings. I do an underpainting in raw or burnt umber. This underpainting was taken a step further to become a finished sepia toned painting. ‘A Distant Journey‘ is an oil painting on canvas, 24″ x 18″. 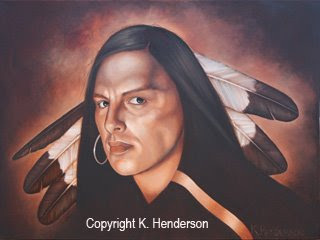 The American Indian warrior has half his face paintedwhite. 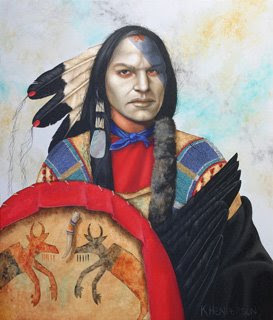 He wears an eagel feather and crow feathers. 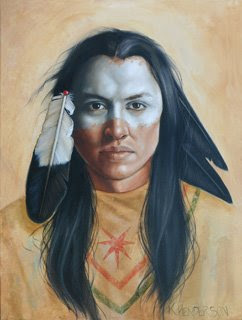 The Native American buckskin shirt he is wearing has Ghost Shirt designs to give him spiritual protection from bullets. Dreams of Freedom is an oil painting on canvas, 40" x 30". 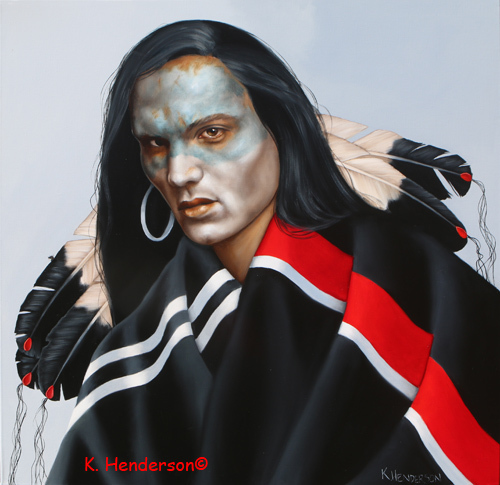 It depicts a warrior whose face is painted in back and white. He wears a striped robe, and a top hat with an eagel emblem or helmet ensignia. 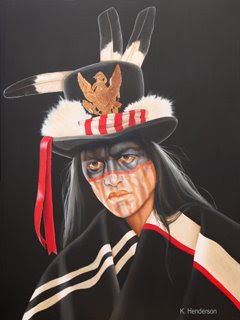 The hat also has eagel feathers, a red ribbon and red and white stripes.